Washington, D.C. - Today, U.S. 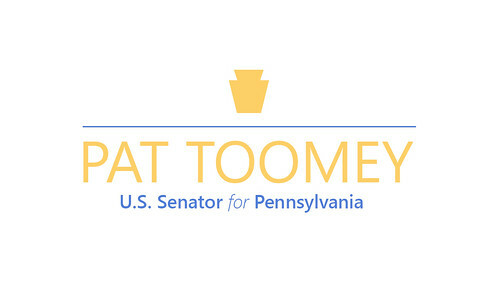 Senator Pat Toomey (R-Pa.) was re-named the chairman of the Senate Finance Subcommittee on Health Care. The subcommittee has jurisdiction over our nation's largest government health care programs - Medicare, Medicaid, and the Children's Health Insurance Program. "As chairman of the Senate Finance Subcommittee on Health Care, I look forward to working on a wide range of issues that enjoy bipartisan support. This includes building off of past work to improve our nation's response to the prescription drug and heroin abuse epidemic, meeting the growing challenge of Alzheimer's disease, and ending counterproductive policies like the medical device tax," said Senator Toomey. "There must also be a debate on how we can come together and put our major federal health care programs - which cover over 100 million Americans and account for over $1 trillion in annual federal spending - on a sustainable fiscal path." *Denotes Senator Toomey's subcommittee membership.